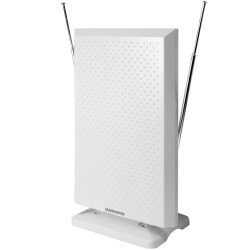 The Magnavox MC347 HDTV Digital Antenna comes with a built-in amplifier to boost weak signals and allow you to receive better reception over a wider range. 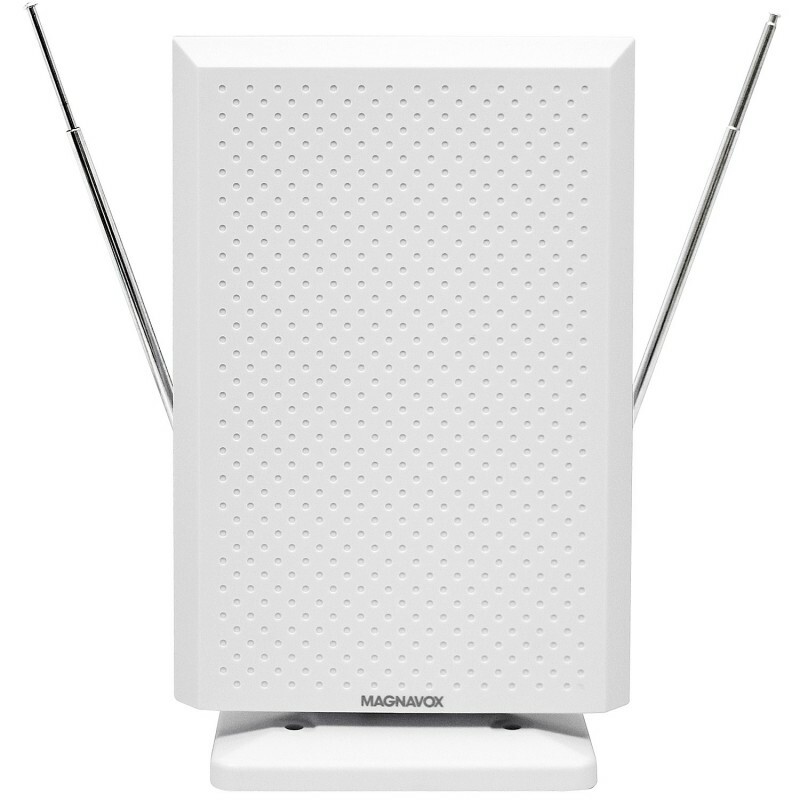 It can also provide 1080p resolution for great quality viewing of your local broadcasts. Antennas have come a long way, this one provides a built-in amplifier with a 15db boost on weak signals expanding your reception range. 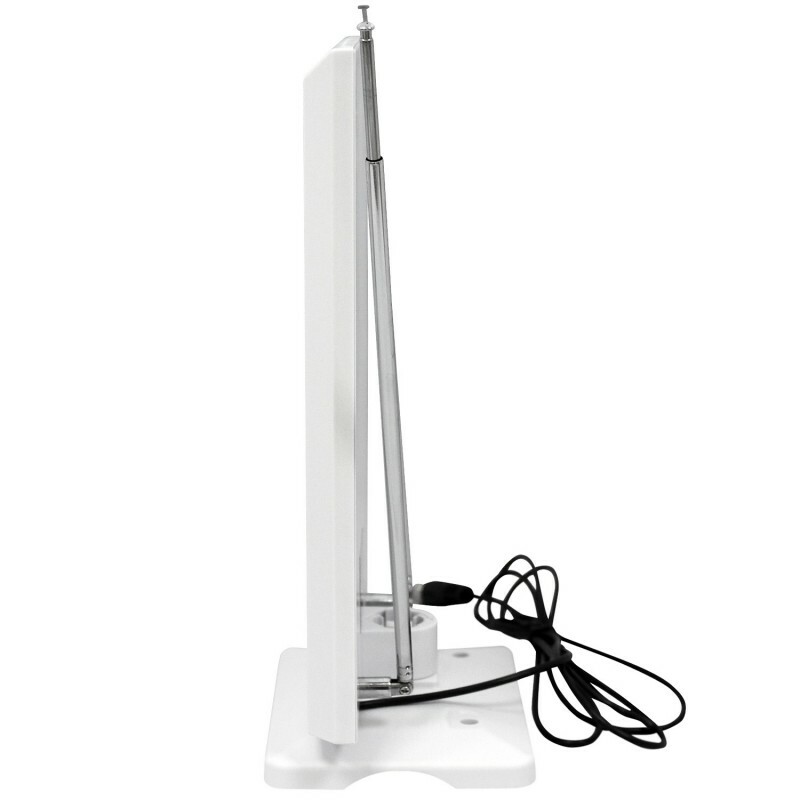 It can receive local digital broadcast for up to 20 miles with working frequencies of VHF 174 – 230Mhz and UHF 470 – 862MHz. Adjust the antenna ears for the best possible signals.